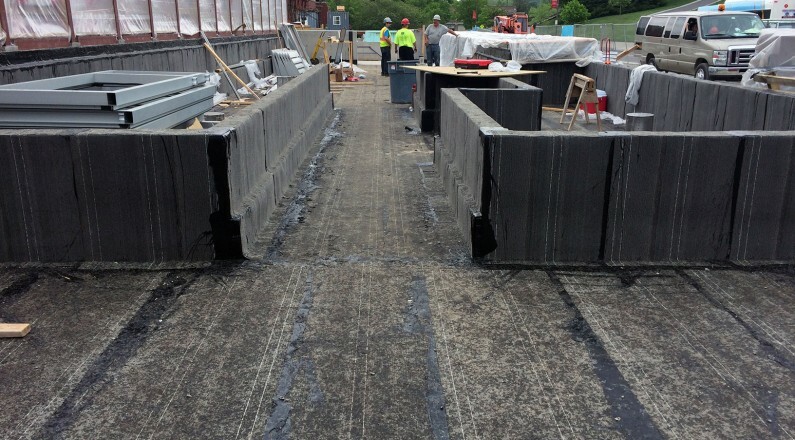 Faced with many challenges, this complex project required a superior waterproofing/ drainage system, a broad product line up, compatibility with multiple waterproofing and air barrier products, the ability to quickly create custom products to address unusual details, and a supportive rep firm with experience-based solutions. 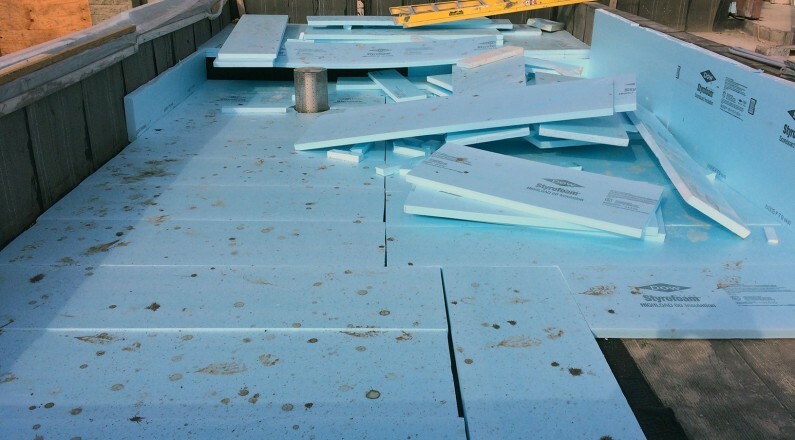 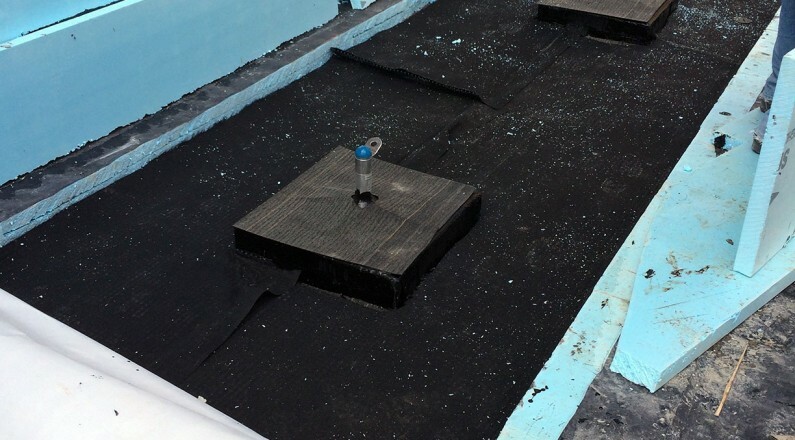 CCW Miraply was utilized underneath the basement slab to combat the consistently high water-table that was above the subfloor level. 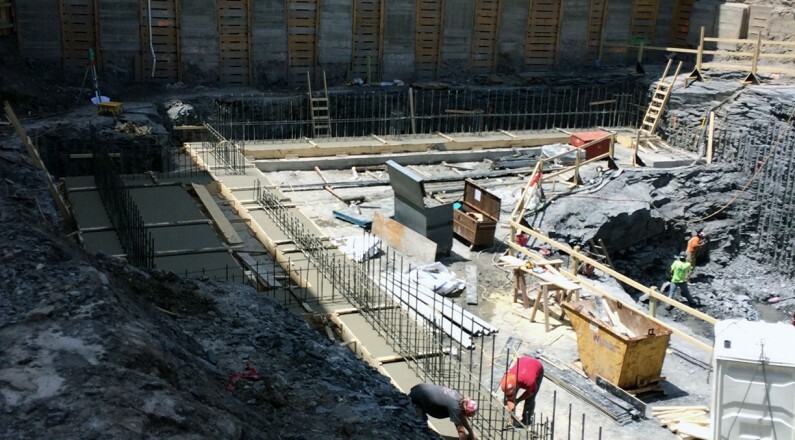 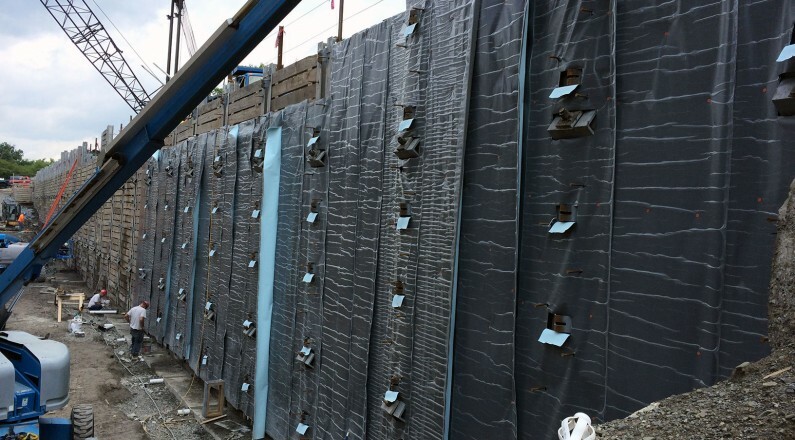 CCW Miraply was also used as the blind-side waterproofing to address the large, ever-present, flow of water delivered from an ad jacent hill towards the foundation wall. 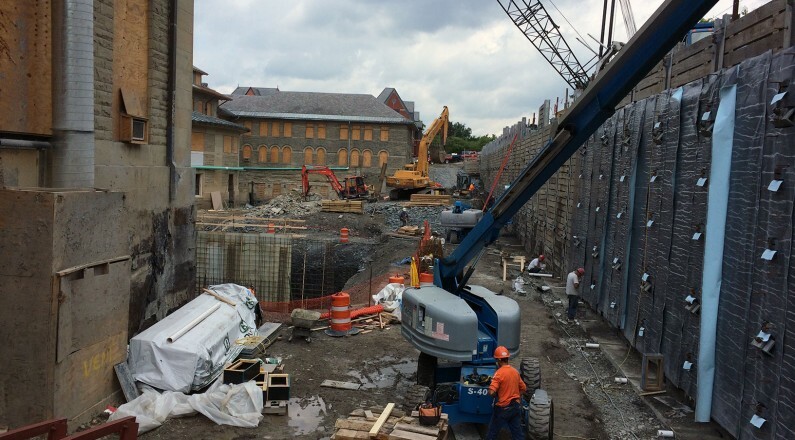 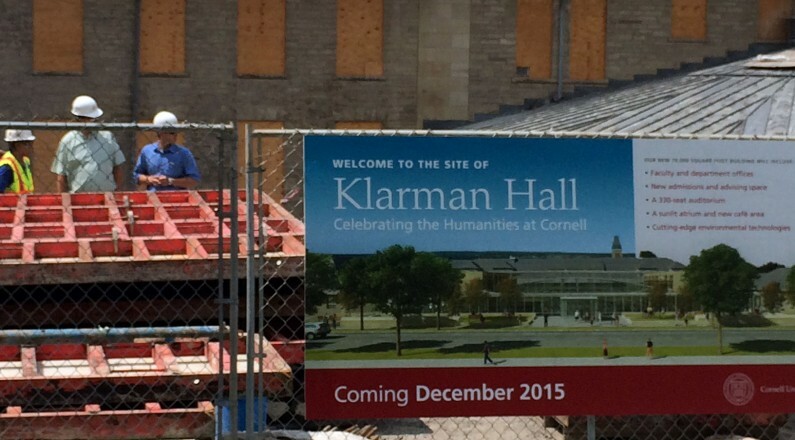 CCW Miradri was incorporated to address the foundation wing walls. 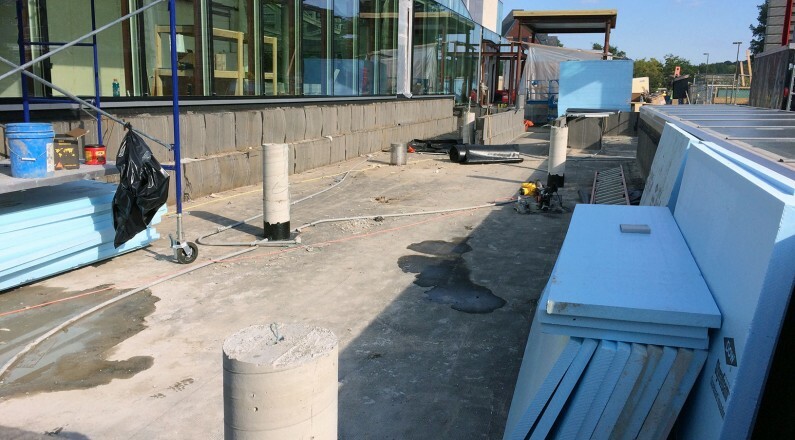 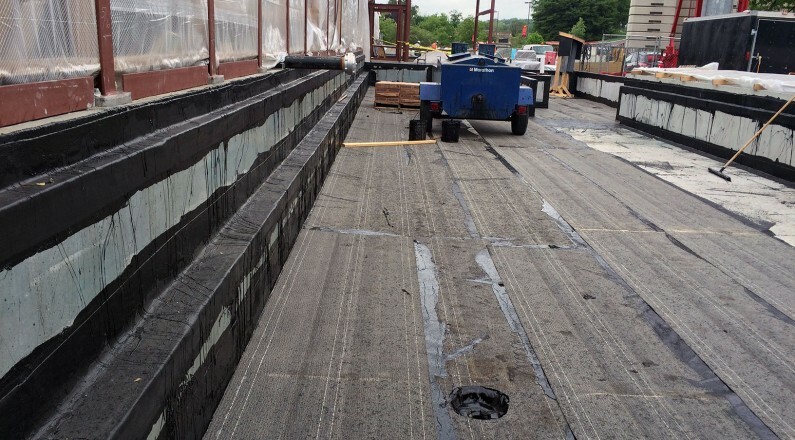 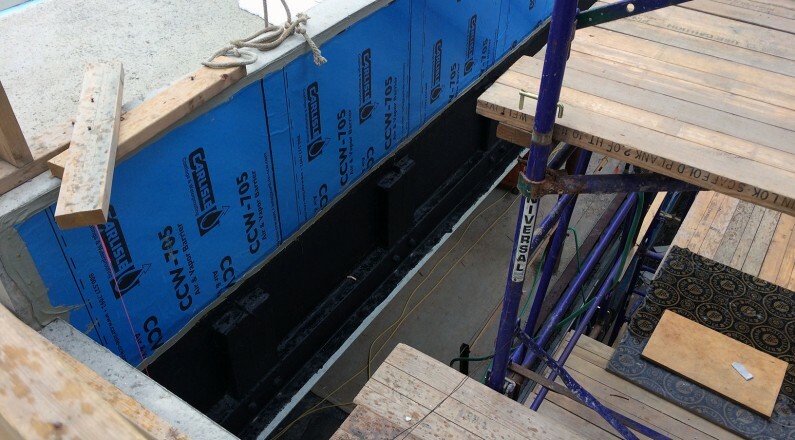 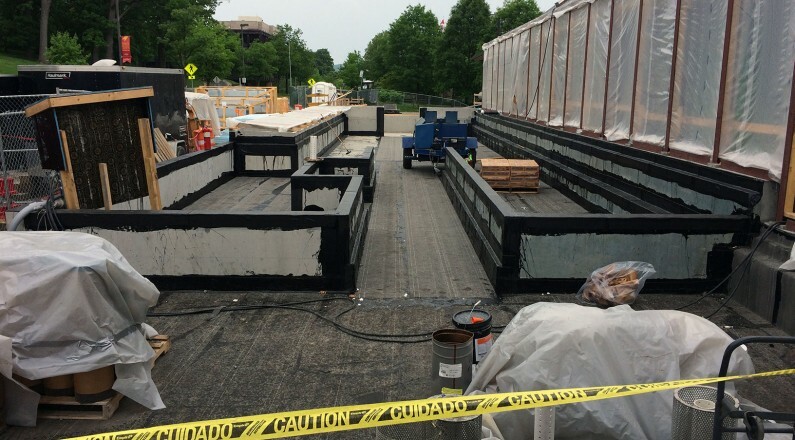 CCW 500R Hot Rubber was installed on the structural slab of the plaza deck, under sidewalk areas, and under the roof garden. 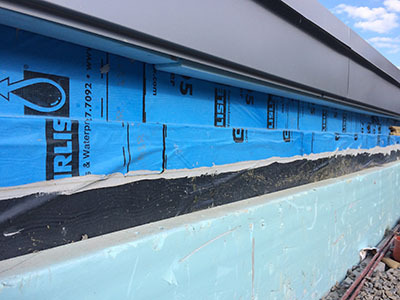 CCW 705 AVB was the air barrier used to address air leakage in the existing and new construction. 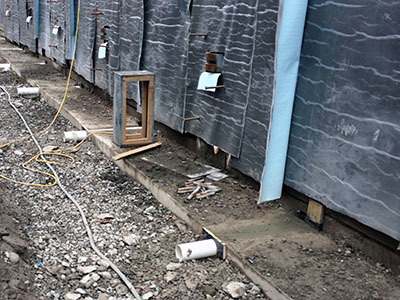 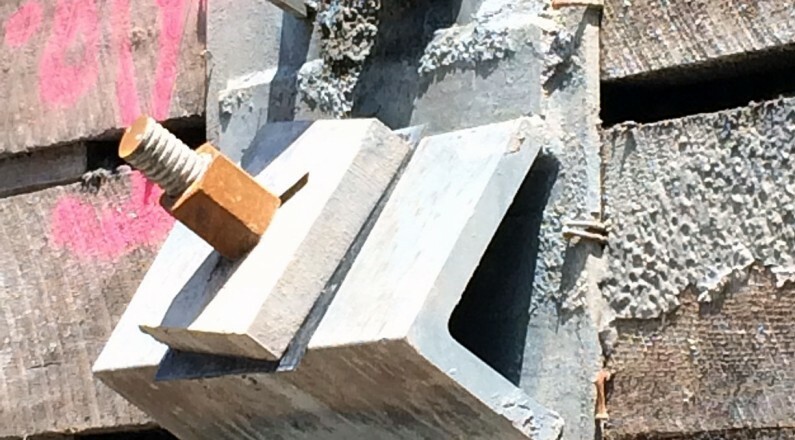 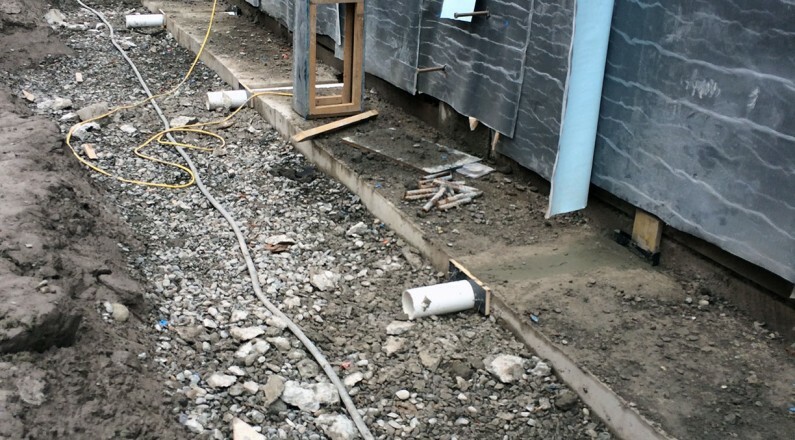 A weeping-wall system was created with CCW Miraply V to collect water at the foundation wall and displace it underneath the slab via the 4” PVC pipe precisely placed through the footer. 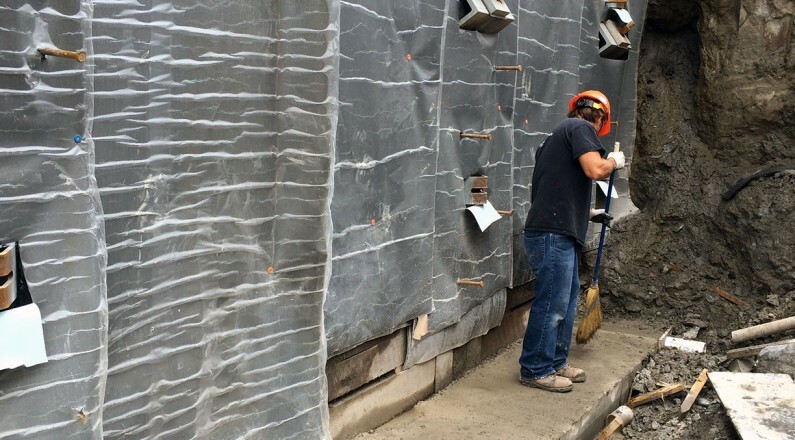 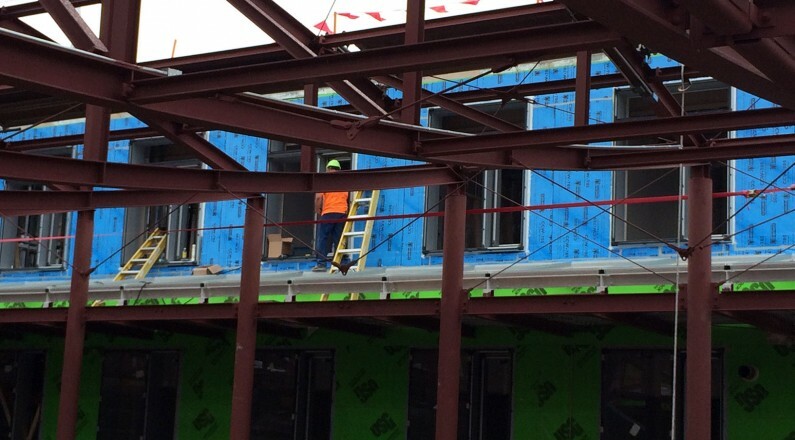 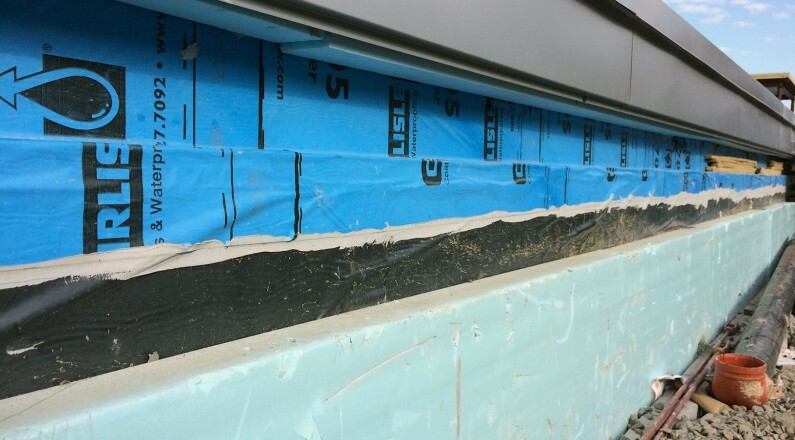 The CCW 705 AVB was the air barrier of choice in this application. 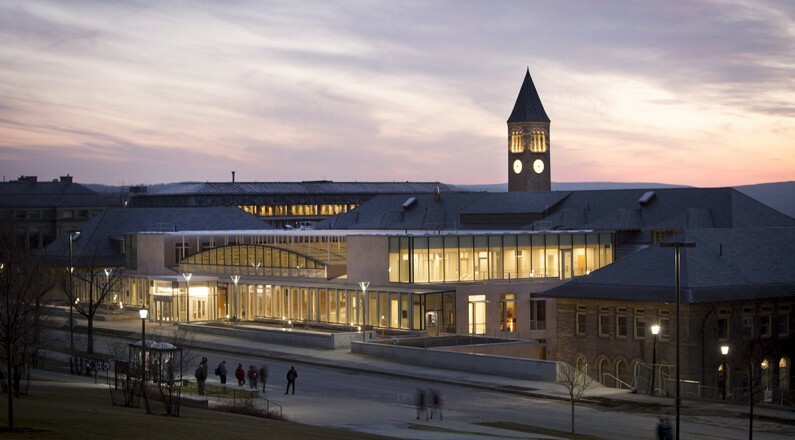 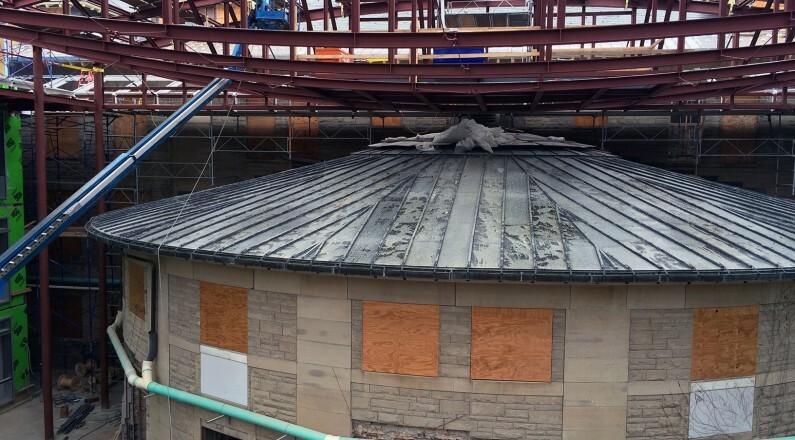 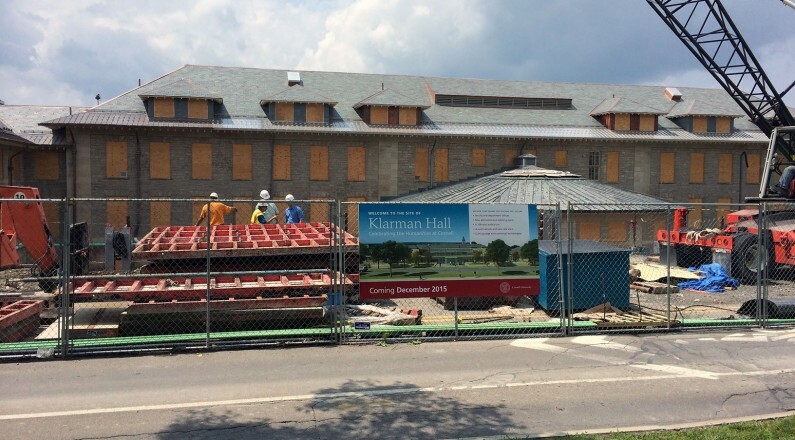 It was expected to tie into the below grade waterproofing, the plaza deck waterproofing and the Carlisle WIP 300 Ice and Water protection under the slate roof. 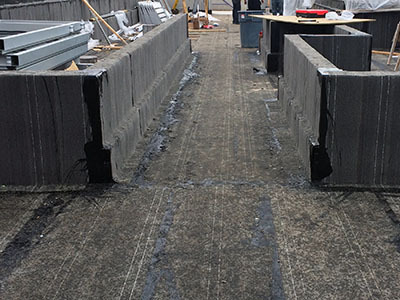 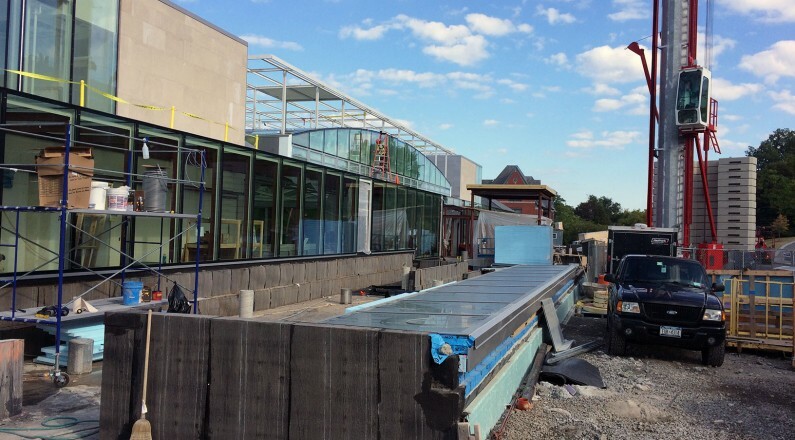 Roughly 30K sq.ft of hot rubberized asphalt was used in conjunction with an electronic leak detection system provided through Carlisle to protect the conditioned space below the plaza deck, adjacent side walks and the pre-vegetated roof garden trays provided by Vegetal ID. 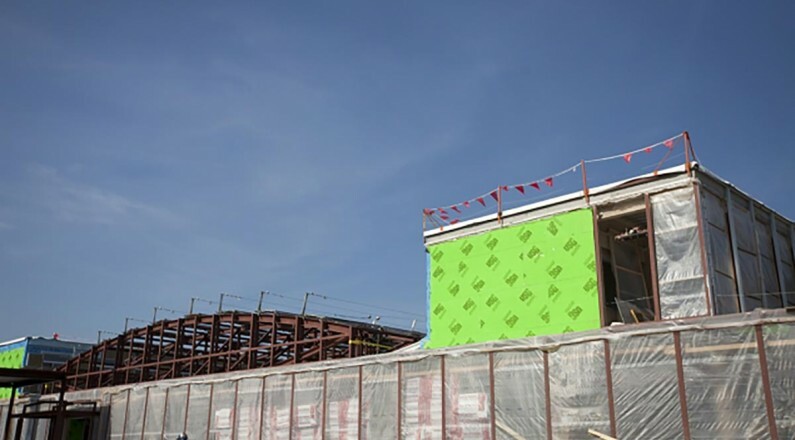 The lag wall was holding back an extremely large hill with a very large building on it. 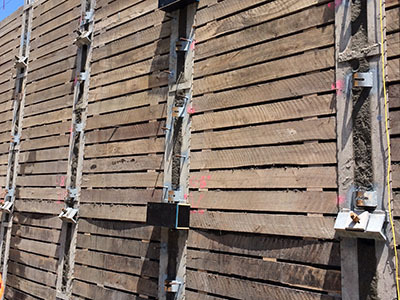 The lag wall had an usually large frequency of massive tie-backs and lag bolts and projections in close proximity to one-another. 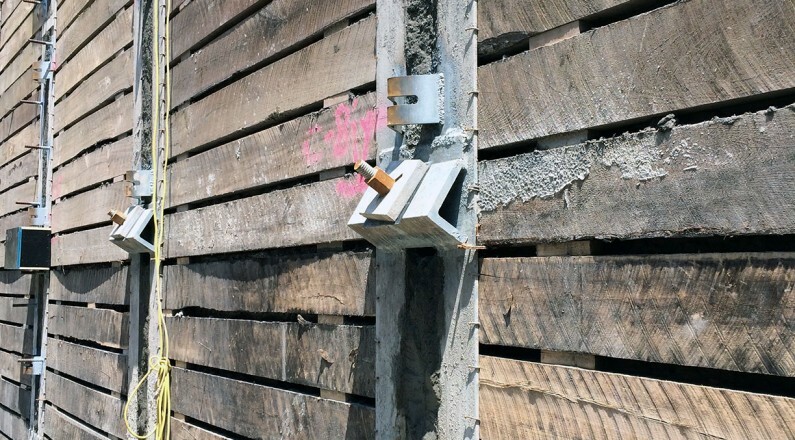 Standard detail products wouldn’t suffice. 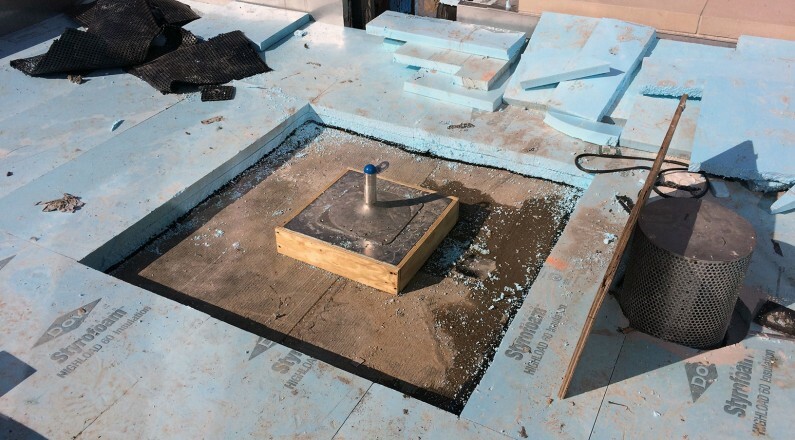 Carlisle was able to quickly create custom products that would save the installer an unquantifiable amount of time and money.